Jessica Perkins, Untitled (2009). Multimedia collage. Jessica Perkins’s Untitled appeared on the Summer 2009 issue of Signs (volume 34, number 4), “Reproductive and Genetic Technologies: A Thematic Issue” edited by Kristin Bumiller, Molly Shanley, and Anna Marie Smith. 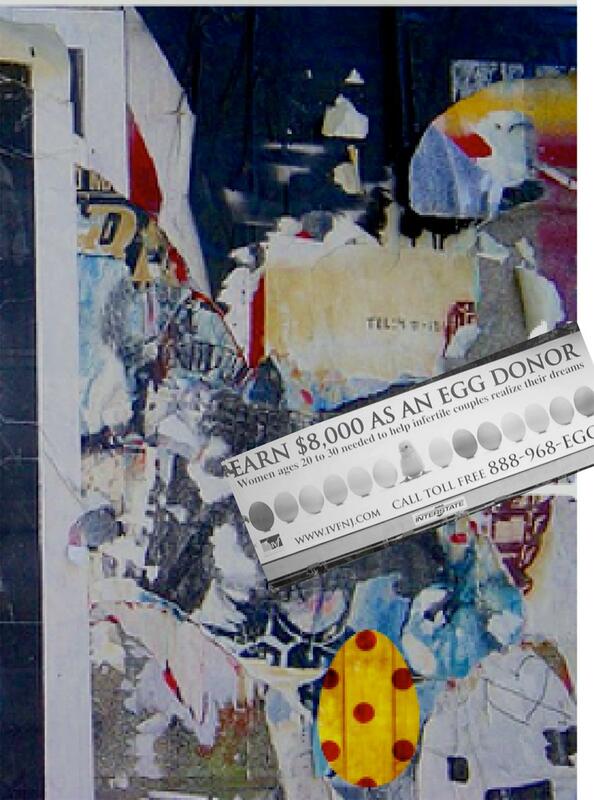 This collage represents layers of media beckoning young women to participate in egg donation. © 2009 by Jessica Perkins. Permission to reprint may be obtained only from the artist.